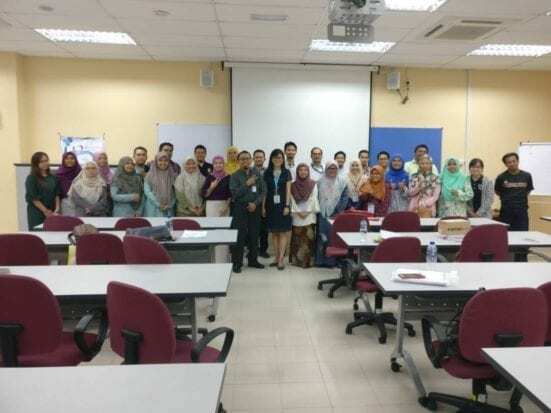 JOHOR BAHRU, 3 April 2018 – IJN-UTM Cardiovascular Engineering Centre – Universiti Teknologi Malaysia (UTM) has organized a three-day workshop on Professional Course on Good Clinical Practice (GCP) on 1-3 April 2018 for researchers heading to clinical trials. 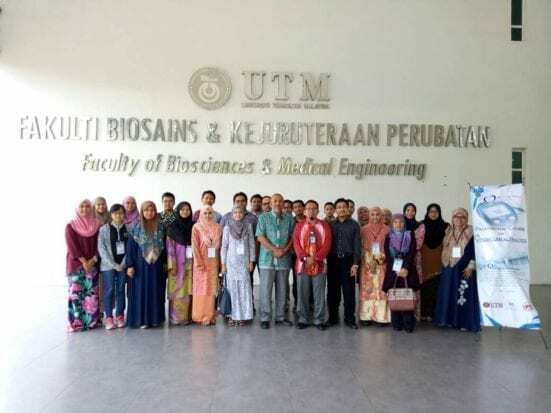 The course was attended by 26 researchers, with 13 from Faculty of Biosciences and Medical Engineering, 10 from Faculty of Chemical and Energy Engineering, and 3 from Faculty of Electrical Engineering, UTM. On the first and second days, Prof. Dr. Abdul Rashid Abdul Rahman, Chairman of Malaysian Good Clinician Practice, General Internal Medicine and Cardiovascular Medicine, AN-NUR Specialist Hospital, delivered his lecture on ‘Introduction to GCP and Ethics of Clinical Research’, as well as ‘Investigator’s Responsibility’. While on the last day, Ms. Tan Shin Yee, Principal Assistant Director from Centre of Investigational New Product, National Pharmaceutical Regulatory Agency (NPRA), Ministry of Health Malaysia, delivered materials on ‘Regulatory Aspects of Clinical Trial in Malaysia’, and ‘GCP Inspection’. At the end of the program, all participants took the GCP test to obtain GCP Certificate from the Ministry of Health. According to Director of IJN-UTM Cardiovascular Engineering Centre, Dr. Ahmad Zahran Md. Khudzari, with the needs to go from in-vitro or lab trials to clinical trials among researchers in UTM, the Professional Course on GCP will be consistently conducted every year to accommodate the preparation of researchers in clinical trials and commercialization of technologies. This course provides a combination of theoretical and practical know-how to the participants by bringing up technological advancements into an ethical paradigm in the clinical sites. It is one aim of the Cardio Centre to become the go-to centre for medical education in UTM and surrounding communities. Additionally, IJN-UTM Cardiovascular Engineering Centre aims to be recognized as a world-class centre of excellence in the area of cardiovascular engineering. By having GCP Certificate, our researchers would be able to conduct better and impactful research in the future.